One-click transfer contents: contacts, messages, music, photos, videos, call logs, notes, apps, bookmarks, ebboks and more. Restore iTunes Library to PC/ Android/ iOS devices. 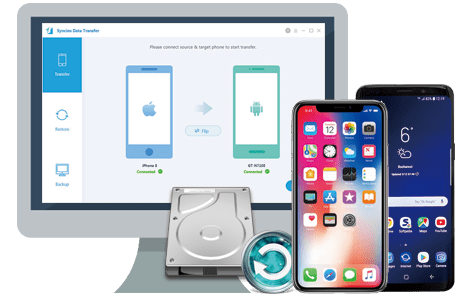 Restore iCloud backup to Android/ iOS devices. Support data shift between cross-platform – iOS & Android. Support for 1,000+ phones and different networks: Apple, Samsung, HTC, Sony, Motorola, LG, HUAWEI, Google, OPPO, OnePlus, ZTE and more. Fully support Android 9.0, iOS 12. 1. Syncios Data Transfer only supports to backup or transfer apps on iOS 5 - 8 devices or Android devices. 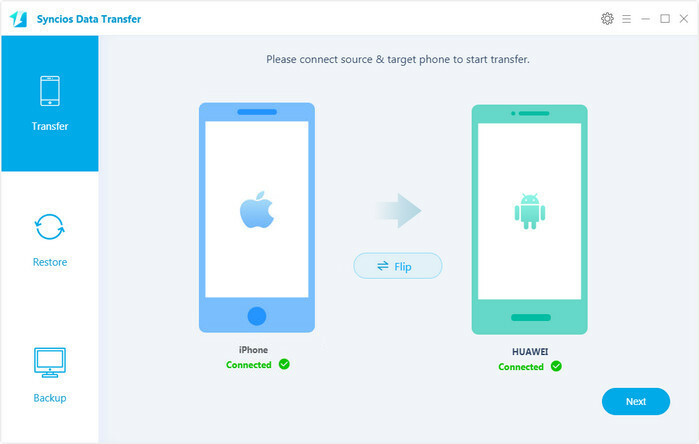 Transferring apps between iOS and Android is currently not available. Backup all Android or iOS contents to computer in 1 Click, including contacts, sms, call logs, photos, videos, music and apps. Backup your phone to the PC first and then restore to any other supported phone whenever you want. Retrieve iTunes & iCloud Backup and transfer contacts, text messages, photos, video, etc. to any supported mobile device. It's safe and risk-free. All content it restored is 100% the same as the original one. 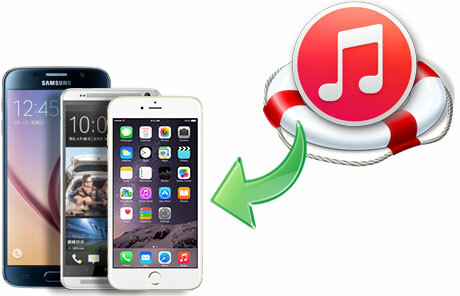 Syncios Data Transfer enables you to transfer iTunes library contents into your iPhone, Android and computer as well. 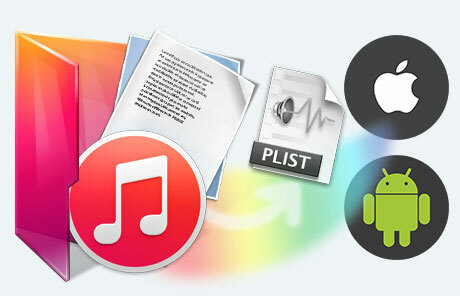 You can sync iTunes music and playlists to an Android phone, iPhone, iPad and iPod touch.